Community farms. Mud spas. Mineral paints. Nematodes. The world is waking up to the beauty and mystery of dirt. 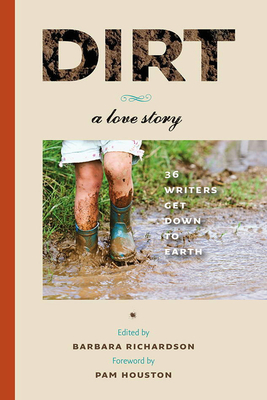 This anthology celebrates the Earth’s generous crust, bringing together essays by award-winning scientists, authors, artists, and dirt lovers to tell dirt’s exuberant tales. Geographically broad and topically diverse, these essays reveal life as lived by dirt fanatics—admiring the first worm of spring, taking a childhood twirl across a dusty Kansas farm, calculating how soil breathes, or baking mud pies. Essayists build a dirt house, center a marriage around dirt, sink down into marshy heaven, and learn to read dirt’s own language. Scientists usher us deep underground with the worms and mycorrhizae to explore the vast and largely ignored natural processes occurring beneath our feet. Whether taking a trek to Venezuela to touch the oldest dirt in the world or reveling in the blessings of our own native soils, these muscular essays answer the important question: How do you get down with dirt? A literary homage to dirt and its significance in our lives, this book will interest hikers, gardeners, teachers, urbanites, farmers, environmentalists, ecologists, and others intrigued by our planet’s alluring skin. Essayists include Vandana Shiva, Peter Heller, Janisse Ray, Bernd Heinrich, Linda Hogan, Wes Jackson, BK Loren, David Montgomery, Laura Pritchett, and Deborah Koons Garcia. BARBARA RICHARDSON is the author of two novels: Tributary, which won a Utah Book Award and was a 2013 WILLA Award finalist in historical fiction, and Guest House, a 2010 Eric Hoffer Award finalist in fiction. Her work also has appeared in Northwest Review, Cimarron Review, Epiphany, Windhorse Review, and Dialogue. She lives in Kamas, Utah.